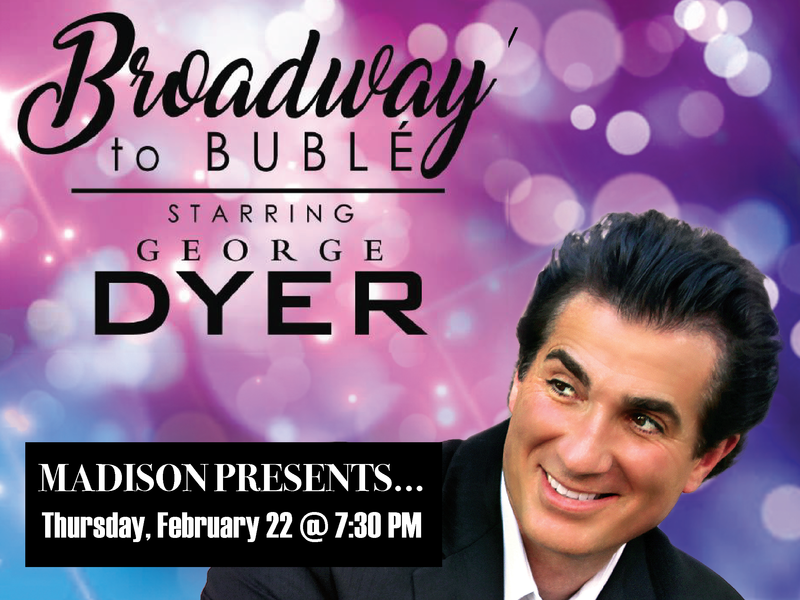 Madison Presents Broadway to Buble George Dyer on Thursday, February 22nd at 7:30 PM in the Madison High School Performing Arts Center. This year we are bringing back award winning tenor George Dyer. Mr. Dyer helped us launch this venue four years ago and he has been our most requested guest artist to come back. He will be doing a live recording with our students on Wednesday Feb 21 and will conclude his visit with an evening concert on Thursday Feb 22. This is a benifit show with proceeds going to Madison HS Music Department. Tickets can be purchased at mhschoirs.ludus.com. or at the door.